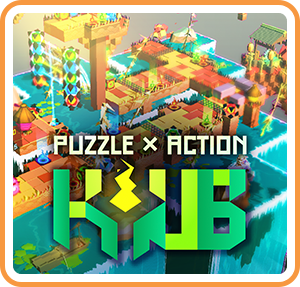 Mysterious "PUZZLE" X Exhilarating "ACTION"
The puzzle game "KYUB" that fascinated the world now available on NintendoSwitch ™! Move the cubic object "KYUB" and solve the mysterious problem using its ability! Switch between action and puzzle phases where you　manipulate other cubes to climb walls and destroy obstacles with lasers or activate switches to trigger new paths. The atmosphere of mysterious and exciting "KYUB" is waiting for you!